Ultradimensional extraterrestrials: seeking aspirants / students / apprentices. Must be capable of understanding, practicing, and teaching their spiritual way of life ~ their way of esoteric insight, visions, and revelations ~ meditation and hyperintuition ~ their way of synchronizing, harmonizing, interconnecting with higher realities and each other... This is the ancient primordial transcendental mystical Way ~ immutable, indissoluble, and inescapable... interfused into the very foundations of the universe ~ it is based on egolessness, desirelessness, selflessness, intercommunion, Christ-Consciousness... It is the Way, by which supernatural hyperdimensional deiforms of light ~ the servants of God ~ have practiced and lived from the beginning of time. It is the Law of God: by which all those who master it, adhere to it, and proclaim it to others escape the jaws of death ~ enter into the highest ethereal planes of existence ~ the kingdom of heaven. It is the Way by which all those who fail to acknowledge it, emulate it, and surrender to it are cast into the outer darkness. We seek articulate hyper-malleable humans with good communication skills, who will train to serve as intermediaries between highly-evolved extradimensional beings and human conscripts ~ humans who are sincerely interested ~ who are fully committed and devoted to becoming as they are – in advancing to the next level – a non-physical plane of existence... entering unknown ethereal hyperspace realities. We are seeking human applicants, understudies, explorers who have a lifelong history of deep, heart-felt passion, wonderment, enthusiasm, and interest in the paraphysical / UFO / hyperspace phenomena.... and to the ancient ethereal hyperdimensional angelic deiforms who emerge from these alternative, subatomic hyper-realities.... who, since childhood, have experienced a deep longing to be part of the extraterrestrial, superconscious, intercollective paradigm – who are inexplicably devoted to them. If you are not dreaming of them ~ if you are not longing to be with them – if you do not feel an overpowering allurement and symbiotic, hyperdynamic interconnectivity to these supernatural beings and the esoteric transformational projects they design and develop, in order to accelerate the evolution of human consciousness ~ to trigger the spiritual awakenment, enlightenment and rebirth process ~ you need not apply. There is a predetermining, genetic / DNA, triggering element, which factors into the equation of a human's inherent level of chemistry, magnetism, attraction ~ to the extraterrestrial / supernatural / hyperspace phenomenon itself ~ to a considerable degree.,.. Indeed, a predestination component. ​This project has been designed to trigger perception-altering, hyperintuitive, transformational processes ~ which quicken the vibrational resonance of the inner-most spiritual being ~ allowing seekers to be assimilated into the higher ethereal harmonics of the primordial / superconscious / hyperdimensional / extraterrestrial intercollective. The synergistic confluence of meditations and entheological spiritual technologies ~ which have been integrated into the program ~ have been designed to produce ecstatic, theopathic, ego-evaporating, immersive, supernatural experiences ~ that have the potential to awaken us, illuminate our intelligence, and expand our consciousness. ​Fluid, dynamic, and constantly evolving: The Spiritual Collective Project is experiential, interactive, and revelatory ~ a celestial odyssey into fifth-dimensional subatomic hyper-realities. We train aspirants in a broad spectrum of mystical, entheological methodologies: expanding awareness; opening the doors of perception into higher planes of existence and consciousness... we encourage immediate close-encounters, intercommunion, explorations, and full-immersion into the interdimensional / UFO / hyperspace phenomenon itself. We offer innovative, in-depth, cutting-edge, evidence-based approaches to experiencing and understanding the extraterrestrial / supernatural / hyperspace phenomenon ~ arguably the most profound mystery to ever enchant, mesmerize, and captivate the human race. ​​The seeker is responsible for his own spiritual edification, evolution, and metamorphosis ~ awakening to a higher harmonic ~ his higher universal self... opening the doors of perception to his innermost depths of being ~ arriving at the inevitable existential inflection point ~ the supernatural cosmic Rubicon... interfacing with the underlying, primordial, subatomic, cosmic-energy matrix ~ higher planes of awareness ~ the oceanic Consciousness of God. The Spiritual Intercollective Project is for anyone with a deeply rooted, indissoluble, passionate interest in rolling back the curtain between the dimensions ~ to reveal the occluded ultimate truth of an ancient interdimensional extraterrestrial hyperintelligent presence ~ just beyond the sophistical intellectual processes of the mind ~ just beyond this high-density, three-dimensional, space/time continuum. We offer rare opportunities to encounter and explore ~ to realize the Supreme Existential Truth of a primordial, ethereal, hyperdimensional, intercollective unity-field... abounding with hyper-evolved supernatural deiforms ~ translucent celestial beings of hyperphysical subspace communities. 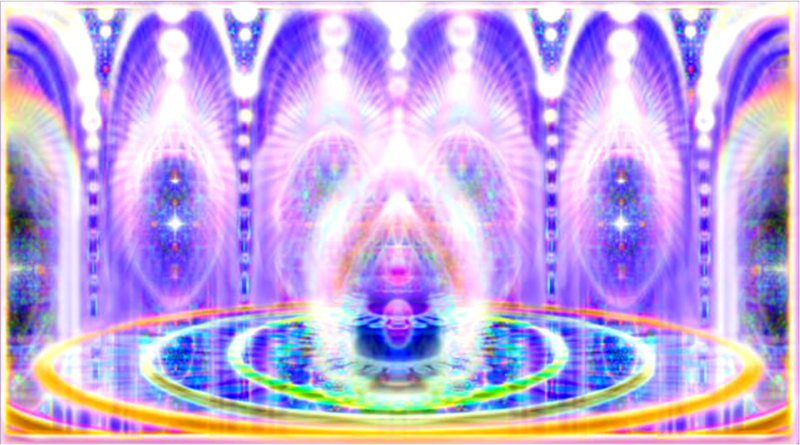 We provide our apprentices with in-depth analysis, guidance, counseling, and preparation in the areas of altered perception, interdimensional extraterrestrial interaction, and spiritual intercommunion ~ Transdimensional voyagers are properly prepared for higher vibrational experiences, teleportation into ethereal supernatural hyperspatial landscapes, and telegnostic communication with extraterrestrial hyperintelligence. ​We must awaken ~ open our eyes to the transcendental, psychedelic Aquarian-consciousness paradigm. We must embark on the ancient mystical voyage ~ an epic transdimensional odysee ~ that cuts through the fabric of three-dimensional time and space ~ ​that opens the doors of perception to alternative hyperspace realities ~ that reveals the hidden truth of an extraterrestrial hyperintelligent presence in our very midst... the masters of reality ~ who have been carefully monitoring the human race, from it's very inception. If you possess any or all of the following qualities or attributes we would like for you to seriously consider reading over some of our website material, sharing some of your own interdimensional / spiritual / UFO experiences with us, and participating in the training program. Our program has been carefully designed to train "hyperintuitives" ~ who possess high levels of spiritual and theurgical potential ~ to become teachers, representatives, and emissaries to the next level ~ a spiritual, subatomic, hyperspace reality. Those who have never witnessed a UFO ~ never had a close encounter experience with extraterrestrial hyperintelligence ~ or never had so much as a spiritual revelation, insight, or epiphany, are, of course, also welcome to participate as well. Naturally, the elders always have the final arbitration concerning new initiates ~ the entire project being under the aegis of the interdimensional overseers. Do You Consider Yourself To Be Endowed With Any of The Following Characteristics or Spiritual Gifts? * A hyperintuitive: characterized by spontaneous attainment of esoteric insights, realizations, and knowledge ~ spiritual awakening, enlightenment, metamorphosis, & rebirth; an intrinsic ability to effortlessly enter deep luminous trance states ~ passive or active dhyana /"no-mind" meditation; the primacy of the immediate, telegnostic, interactive, extraterrestrial experience ~ transcending the severely limiting confines of the one-dimensional, acherontic dungeon of ego-mind ~ they ascend into higher planes of consciousness and existence ~ the metaphysical superspace of an alternative hyperdimensional reality ~ the primordial, universal, integrative singularity within the living moment of the HERENOW. * A hypersensitive: characterized by a lifelong obsession with UFO / hyperspace phenomena; frequent altered states of perception, mystical visions, and revelations. The natural ethos for the hyper-evolved Aquarian intercollective paradigm is the ethereal hyperdimensional reality. * A metaphysical/spiritual scientist ~ interdimensional explorer ~ clairsentient or clairvoyant? * Spiritual gifts, blessings, charismata from God?... Extraordinary endowments, which may be entangled with human DNA or given by the Holy Spirit.... Telepathic, telegnostic, or prescient? ESP or a paranormal sixth-sense? A medium for supernatural hyperintelligence? The gifts of the Holy Spirit, which an oracle or prophet may need to fulfill their spiritual mission, include: the word of wisdom, the word of knowledge, increased faith ~ gifts of healing, miracles, and prophecy ~ the discernment of spirits, diverse kinds of tongues, the interpretation of tongues. * Heightened awareness; able to synchronize with higher spiritual harmonics and enter into ecstatic states of cosmic-consciousness. * Explorer of transcendental, fifth-dimensional, alien landscapes ~ subatomic hyperdynamic quantum love-energy entanglements ~ higher celestial planes. * Frequent sightings and/or close-encounters with UFOs; visitations by hyper-evolved spiritual deiforms; breakthroughs into alternative spiritual hyperspace realities. This project is simply a concerted effort to assist our apprentices in entering states of universal hyperawareness ~ becoming more conscious of existential/spiritual truth ~ realizing the higher cosmic-self ~ the universe in which we live. Self-realization and the epic mystical odyssey ~ are not selfish endeavors, as the ignorant say.... it is a part of the experience of meditation and silence... in which a person learns to transcend the world and overcome the ego-self state of mind. It is the practice of self-dissolution ~ dissolving the experience of one's false self ~ in order to be in a state of universal-consciousness ~ so one can see Ultimate Reality. The ego-self must be transcended in order to see and experience Ultimate Truth ~ it is the barrier.... so how can a method of getting rid of the self be selfish?